From stigmata to bacchanalia, the ecstasies of elevated faith have long been documented in religions and cultures across the world, and such brushes with the divine are traditionally recorded in the language of religion. But spiritual enlightenment does not need to be confined within the naves of the church, just as the activities that lead to it are not always holy. Since the mid-twentieth century, the darkest folds of the urban fabric have played host to ravers in pursuit of nocturnal ecstasy. While the landscape of raving has evolved since the emergence of club culture amidst the social and sexual revolution of the 60s, the ethos has remained constant: to cultivate an immersive environment for intense experiences. The spontaneous sense of community that emerges in the rave subculture, paired with the meditative qualities of electronic music, lends rave a ritual status: a peaceful crusade premised on inclusivity that acts as this era’s hallowed pilgrimage. Just as the devout have their places of worship, raving has historically provided a physical outlet to partiers for the frustration, delight and perplexity that accumulates from the trials and tribulations of the everyday. The spatial configuration of the rave plays an equally important role in promoting escapism as the music itself; an environment that juxtaposes the regularity of home provokes extraordinary experiences. It’s precisely this elevated environment that is explored in the latest exhibition at the Vitra Design Museum in Germany; “Night Fever. Designing Club Culture 1960 — Today” provides a sensory portfolio of the ethos that charmed a community into a hedonistic haze. The physical landscape of the party scene has evolved since the 60s; parties have spilled out from clubs and arenas into the derelict structures of the city and the grassy vacant plains that stretch across the countryside. The anarchist philosophy that originally led raves into abandoned spaces adds to the sense of pilgrimage: an intimate group of like-minded individuals journeying outside of their day-to-day enclosures, liberated from regularity and united in songs of praise. The raves of the late 80s capture this renegade mentality: acid house king Tony Colston-Hayter used the British Telecom’s Voicebank system to withhold the location of his illegal raves until the last minute, with patrons calling a number to receive answerphone messages revealing meeting points along the M25 before the rave site was unveiled. Drawing inspiration, albeit legally, from past rave culture, UK festival Houghton — the lovechild of Fabric resident DJ Craig Richards and the people behind Gottwood — takes place on the grounds of an opulent Palladian home. The utopic woodland setting emulates the raves of the early 90s, a mosaic of cathartic melodies creating a journey into ulterior dimensions. Dilapidated warehouse structures and subterranean quarries are set around an iridescent lake: an ethereal empire with a temporary existence. Arriving in an environment that is markedly different to the venues that form the map of regularity allows for personal transformation, enabling the ego to slip away and merge into a single, united body. The way in which raving has become, for some, a weekend ritual implies a devotion similar to religion. Your first rave is an experience likened to holy communion, an initiation into a nocturnal world guided by a different ethos. The intense level of physical and emotional output demanded by 72-hour-long parties, which lure you back weekend after weekend, elevates raving to something with ritual status: a modern interpretation of the ecstatic celebrations that unite native communities all over the globe. The sense of inclusivity and unity-in-diversity found at raves embodies the social ethos of rave subculture, cutting across lines of ethnicity, class, age, nationality, gender, sexual orientation and other socially constructed prejudices. Belgeonne acknowledges the importance of community for his festival: “To have a truly diverse audience shows us how we are all the same and gives the opportunity for true actions of non-judgement to be experienced. The audience is the Noisily atmosphere”. British cultural anthropologist Victor Turner conceptualised this phenomenon of collectivity as “communitas”, which he describes as the spontaneous community which forms in the initial stage of the ritual process, outside of the constraints of normal social roles. Rave alleviates its patrons of responsibility and frees them of expectation, dissolving the social constraints that plague the modern world. The rave community has developed into an interconnected organisation, rooted in openness and fuelled by ongoing shared spiritual experience. The parallels between the rave community and religio-spiritual organisationsare clear; these are communities that are united by a common interest and mutual commitment. However, the latter is normally rallied by a cult figure or overarching ideology, while the former is a much more organic development founded on inclusivity rather than exclusion. Similar to the emergence of the acid house scene in Thatcher’s enraged and unemployed Britain, the Berlin techno scene represents the collective spirit of disenchantment that was simmering away during the decades prior to unification, amalgamating in the aggressive, minimalist and raw nature of techno. Historically, rave has unified communities in the face of division: a nocturnal union that provides an escape from the rules and routines of everyday life. No place of worship would be complete without its music, song as integral to the act of ritual as the revellers themselves. For clubbers, the constant rhythm and continual motion of electronic music is hypnotic, providing a powerful bodily experience that transports focus from their head to their body. Oscillating between 120 and 150 beats per minute, techno’s speed and repetitive nature can induce a meditative state, especially when whisked with soft percussive elements like consistently rolling hi-hats. Sound maestro Tony Andrews, the man behind Funktion-One, appreciates the enchanting qualities of crisp electronic music; “good sound is a state of meditation. If you feel yourself being pulled towards a meditative state, you know the sound is good. When it’s really good, you don’t know the difference between the inside of your head and the outside of your head,” he states. Dancing-induced ecstasy offers a release from routine movement, luring you into a trance state similar to that of possession, the music transforming into a charming temptress. The ritualistic elements of rave have been expressed to new levels in some communities in Los Angeles, where patrons are smeared with sage in between sets in ode to ancient Native American tribal practices. The landscape of the clubbing scene has evolved from conventional spaces to alternative dwellings but, despite the shift in structural surroundings, the ethos of inclusivity and acceptance has sustained. Rave culture continues to cultivate escapism and devalue the restrictions of the everyday, creating a unified communitas who join together in their own take on ecclesiastic ecstasy, long into the dawn. The exhibition “Night Fever. Designing Club Culture 1960 — Today”, was showing at the Vitra Design Museum in Weil am Rhein until 9 September. 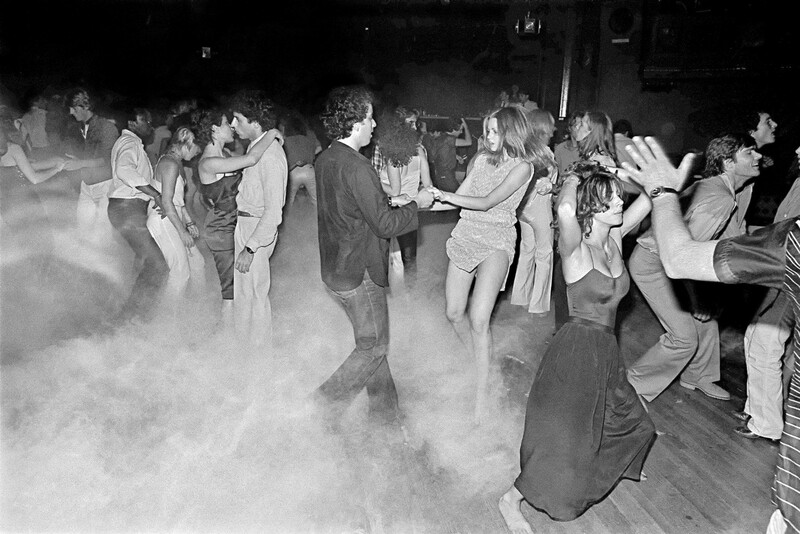 It explored and featured rare imagery of some of the world’s most famous clubs, like Bill Bernstein’s photos from guests at legendary New York venues Studio 54 and Xenon taken in 1979, as well as the impressive architecture and design underlying these places.